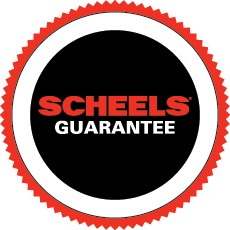 Believe it or not, fall fashion is here, just in time for back to school – and we couldn’t be more excited to talk to you about the latest fall fashion trends at SCHEELS! These trends range from bell sleeves, off the shoulder tops and sweaters to transitional pieces like cardigans, jackets and tunics. Lauren & Ashley highlight their favorite fall fashion styles and trends to take you into back to school and the cooler seasons. Find more fall fashion and back to school style inspiration by following @ScheelsStyle on Instagram here ➡️ @ScheelsStyle. Share your favorite fall fashion picks with us using #ScheelsStyle on Instagram. Lauren & Ashley talk about their favorite fall fashion styles and trends. What other trends are hot this fall? Denim, denim and more denim! It can be the easiest addition to any closet, and we’re not afraid to mix different shades in the same outfit. Anything from denim jackets to denim skirts and jeans – especially with a raw hemline. Denim trends we’re loving this season? Distressed Boyfriend jeans! We love this style because it offers a relaxed, effortless look and goes great with a simple tee, or with a graphic tee for an edgier look. Ampersand Hoodies have really taken off this year – and they’re now available in team colors! These will be such an easy style to show-off your team spirit any day of the week. We can’t get enough of the bell sleeve and off-the-shoulder tops! We love the versatility of these styles – from bohemian to structured, these shirt styles work for any fashion-forward girl. Lauren Hovden is a Social Media Specialist on the SCHEELS Digital Marketing Team and Ashley Helm is a Merchandiser on the SCHEELS E-Commerce Team.